Based on extensive insider interviews and participation, acclaimed author Ben Mezrich's Straight Flush tells the captivating rags-to-riches tale of a group of University of Montana frat brothers who turned a weekly poker game in the basement of a local dive bar into AbsolutePoker.com, one of the largest online companies in the world. But then the U.S. Department of Justice placed a bull's-eye on Absolute Poker. Did they fold - or double down and ride their hot hand? He was a legend before he was of legal age. Stuey Ungar dropped out of high school to become an underground card-table sensation, eventually taking out every top gin-rummy player on the east coast. Bankrolled by the Genovese crime family, Ungar went on to win the World Series of Poker a record three times. Then his luck began to run out. Nolan Dalla was commissioned by Ungar in 1998 to pen his story, resulting in hundreds of hours of taped interviews and conversations. The result is the startling tale of a man who won at his game and lost control of his life. Notorious for gambling every single dollar in his pocket, Ungar won an estimated $30 million in his lifetime, but when he was found dead in a Las Vegas motel at the age of 45, he had only $800 in cash on his person, with no bank account or home address. ©2005 Nolan Dalla (P)2008 Blackstone Audio, Inc. Being interested in poker and its history prompted me to check this out and I was not dissapointed. It's an entertaining if tragic story of a man who for all his natural abilities could not conquer himself. I think the appeal of this book lies in its focusing on a person who came to exist so utterly on his own terms outside the borders of "normal" society that there is an attractive element of escapism to the narrative. Much of the credit for my complete immersion must go to the narrator. His individual voice characterizations, some more dramatized than others, gave the story life and his general tone of voice suited this type of story to a T. Great job. 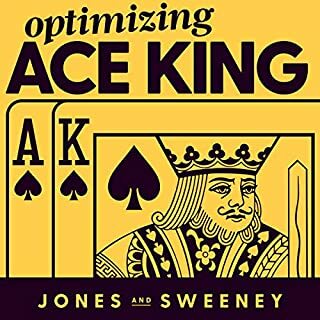 If you have an interest in poker or the gambling world in general, then this book is certainly for you. If you don't, you won't find a more fascinating entry point. Highly recommended. Would you consider the audio edition of One of a Kind to be better than the print version? I haven't read the print version so I can not compare the 2. What other book might you compare One of a Kind to and why? What aspect of Joe Barrett’s performance would you have changed? The best card player who ever lived and how little we know about who he was. Would have liked to see some specific details into some big hands played so that they could be dissected and discussed. The Stu Ungar story is engaging and compelling from the get-go. I will look for other books read by Joe Barrett - he did an amazing job. Surprisingly the callous, cliched-heart of Vegas is shattered when you hear of players and friends who tried to help Stu Ungar. Over and over it's a desperate emotional roller coaster - the life of a gifted man who went through one bad beat after another. In substance and tragedy It's Goodfellas meets Casino, meets Raging Bull. This was a peek behind the curtain of professional poker. I don't play but I liked watching the TV coverage of the big tournaments, till the punks took over with their posturing and antics. So I knew some of the big names and even had some favorites. I liked learning a little bit about the personalities and characters of some of the players I had followed, particularly Doyle Brunson. However, I had not heard of Stuey Unger, and this book prompted me to go to You Tube to watch some of his tournament play. My watching coincided with some of the scenes in the book, which really brought them to life. I think anyone interested in the game would like this book. The narrator did a good job, but the production values of the recording were pretty bad, particularly closer to the end, when lines were repeated. One time an entire paragraph was followed by a pause, then the narrator's voice saying "Alternate" and then the same paragraph read again. It was sloppy editing. This is a very good book abut Stu Unger. It's very sad what happened to him but well worth the listen. It's very well narrated too. 1 of the kind is probably the greatest audio book that I've ever listened to. I have listened to roughly 30 audio books. 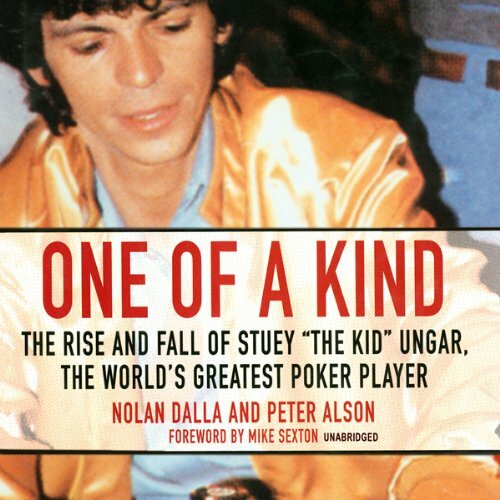 Stuey Ungar is such a fascinating person, and probably the greatest card player of all time. Compelling story of the greatest card player ever. Nollan does an incredible job telling Stu's story. He bounces back and forth, between autobigraphical material and 3rd person biography in a smooth fluent manner that let's us see the world through stuie's eyes, and stu through his friends eyes at the same time. The stories are endless about Ungar's mental talents at cards, juxaposed with his personal demons that took his life to soon, just a few years before the big boom in poker.The story is brilliant in its scope, taking Stu from birth, to the hights of a 2 time champ, to the depths of addiction, and back to a third title, and back again. 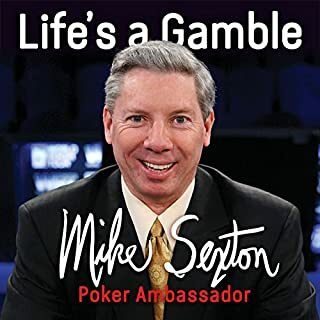 The stories of his brilliant talent at all card games, especially ginn and poker, from the earlest age, are told and performed in rich detail that make you feel as though you were there at the felt yourself. If you have ever herd the stories of Stu while watching poker, or in a poker room in vegas or la, then you can't miss this book. Or, if you just love a good biography about someone who is the best at his field, then it is a can't miss as well.The story is read, wonderfully unabridged with a multitude of emotion, despite a large number of difficult voices to recreate. 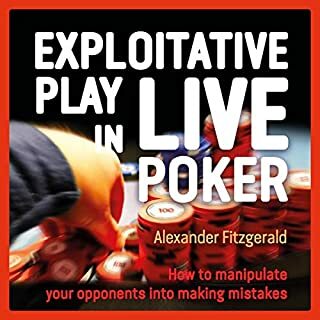 The work is ingaging, eluminating and makes the most compelling figure in poker history that much more compelling.... ecpecially in the audio form, that truely brings to life the incedible ups and downs of stu in a manner that the writen word just can't match. The story is interesting, but I'm prompted to write this review because the narrator is so bad. When doing voices--particularly Stu's--he creates a goofy version of a NYC accent that ends up sounding like Popeye. It is distracting, and makes it tough to take the rest of the book seriously. 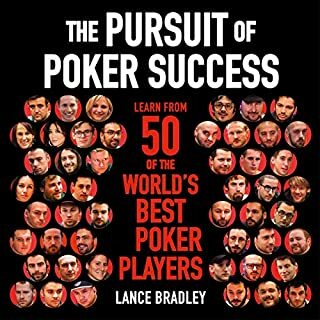 I've been a poker fan for the last 13 years and don't actually remember how I stumbled onto this book but I'm glad it did. The narrator is excellent & the story is fascinating. I didn't know of Stuey Ungar before this book but now I do and wonder how it's possible that I'd never heard of the guy. What a life lived and wasted at the same time! Recommended! Brilliant, a must read for any poker enthusiast! Once you start you can't stop listening to it. Excellent book even though never gambled. This is a must read even if gambling isn't for you. I was gripped all the way though, such an amazing story, I will definitely listen to this again one day. Highly recommend. I'm a poker player so this book could not fail for me. 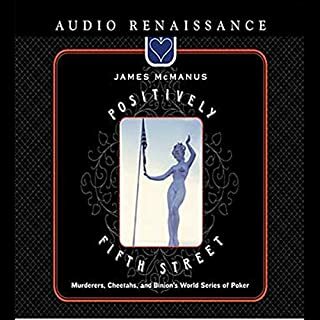 It was my first audio book and felt I got lucky with this excellent starter.I loved hearing about stu,s life and found it fascinating. A true poker breed which unfortunately May have died with him. Rest in peace brother, we salute you! Read this story. 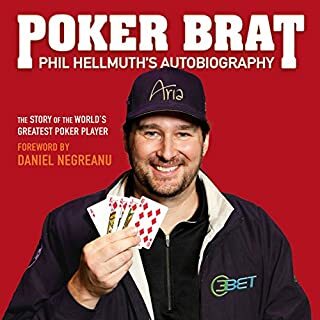 Great detailed biography of the greatest poker player ever. A great insight into his life, as an audio book it's very good - the reader does a great job of bringing the characters to life.